Our Christmas parties are like none other! Set in rural Oxfordshire, in a spacious, sleek and stylish seasonal marquee, positioned in front of Kingston Bagpuize House for spectacular views across the gardens and stately home - making for fantastic photographs and a wonderful evening entertainment. Our temporary marquee is weatherproof and warm, cleverly partitioned to create separate areas for dining, entertainment, dancing and a reception area with seating giving our guests ample room to party, mingle and enjoy the evening. 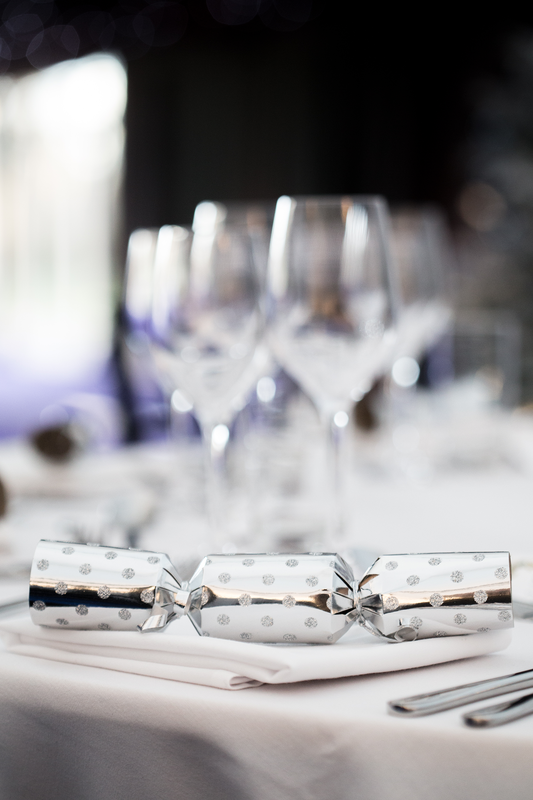 Elegant Cuisine's exclusive Christmas party venue is available from 30th November to 10th January providing guests with a very glamorous and unique seasonal party to remember. Expect Christmas with all the trimmings - oak smoked salmon mousse with king prawns to start, slow roast bronze turkey with pigs in blankets, and cointreau chocolate shots and mini Christmas puddings to finish. All with Christmas crackers and festive cheer. These will be the parties of the festive season not to be missed - the most enviable, shareable and memorable of them all. So, for discerning local businesses who want a completely tailored service and a lot of fun for 150 to 300 or more guests, we have something very special for you. 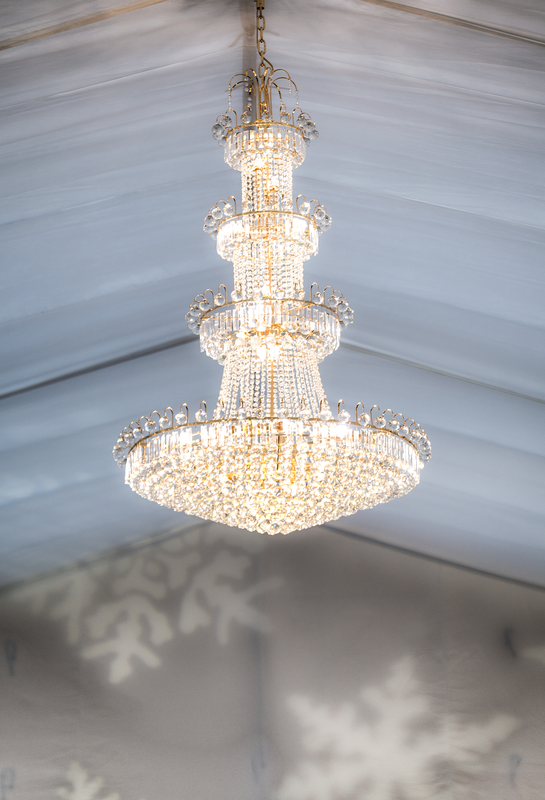 Hosted in the most elegant and magical winter marquee, we bring together the most incredible food, second to none service and a night to remember in the magnificent luxury of the grounds of Kingston Bagpuize House, Oxfordshire. Did we mention our marquees are fully heated too? And have separate toilets, a relaxing reception for a little quiet and bar areas, surrounding a sunken dance floor all within the marquee too. So get your best party shoes on and be ready to smile for the camera - we have a brilliant themed photo booth to catch you and your colleagues on arrival. A stunning marquee in the grounds of Kingston Bagpuize House, set between Abingdon and Oxford. We are offering all of the above at £95.00 per person plus VAT for a guaranteed minimum of 200 guests. Kingston Bagpuize House is ideally located close to Oxford City Centre and Abingdon for ease of arriving by public transport, alternatively there is a large well lit carpark and coach bays for large parties to arrive easily.